The Newsymom.com team is excited to announce the winner of our raffle basket from the Union Hospital Baby Fair! The event took place on Saturday, November 11th from 11:00 a.m. to 1:00 p.m. in the hospital’s cafeteria. Newsymom.com was among more than 20 vendors there with a goal to inform, educate and make life easier for moms and moms-to-be. There were education-based displays from agencies including Union Hospital, the Tuscarawas County Health Department and more! There were also vendors selling children’s books, creative mugs, and handmade bags. Newsymom.com Founder, Michaela Madison was joined by Board Member and Author, Jess and our newest Author, Shaheedrah to help run our display. The team had such a wonderful time getting to know the nearly 30 moms that took time to stop by our table, learn about our mission and sign up for a free subscription to our website! And each one of those moms put her name in the running to win a raffle basket valued at $100! And the winner is….Heather Muth! 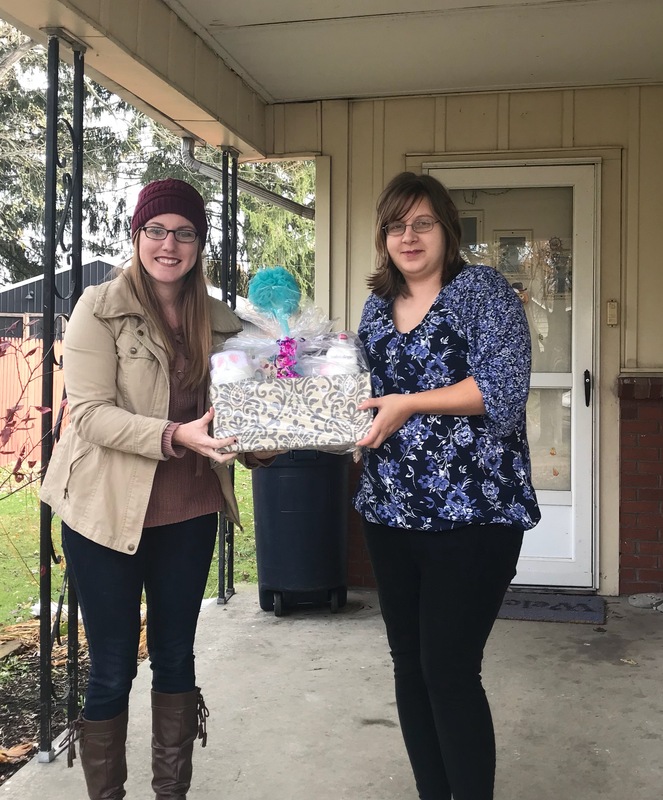 Michaela Madison delivered the basket to Heather at her home on Tuesday afternoon.